While CryptoPrinting has always been open to users submitting 3D printable designs, our NFC-enhanced simulacra have been useful for getting our name into the cryptocoin space. 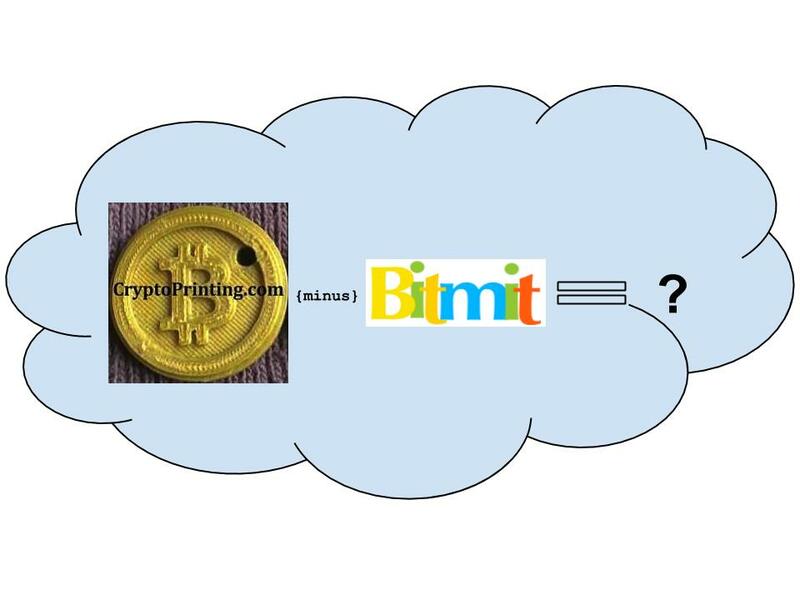 Bitmit in particular has been a strong source of sales and feedback from our start in late February, 2013. With Bitmit closing down, we thought it might be worth publicly posting our 100% positive feedback record for posterity, as what is currently publicly available information will soon be turned to digital dust. Since BitPay has no escrow option, trust is needed more than ever for those ordering directly with us for the first time. We’d like to point out that we’ve tried to make maintaining that trust a priority through our service record. If you have any suggestions on how to keep improving our services, or have a suggested replacement venue with features comparable to Bitmit, please post your thoughts below. Great Seller! Fast communication, will buy again. My order came in very quickly and was exactly as described. Excellent seller, would recommend!! Very smooth transaction. Seller had great communication and shipped quickly. Thanks! Very cool, got to me really quick also! Sorry, I forgot to check this out of escrow. Terrific product, excited to have them! These came out great. Some of the best Bitcoin stuff I’ve received. Order arrived quickly and as described. This is truly a unique piece of history.